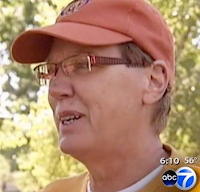 Cognitive Dissidence: Cindy Archer Loses Again! For those that do not remember her, Cindy Archer, was one of Scott Walker's cronies. 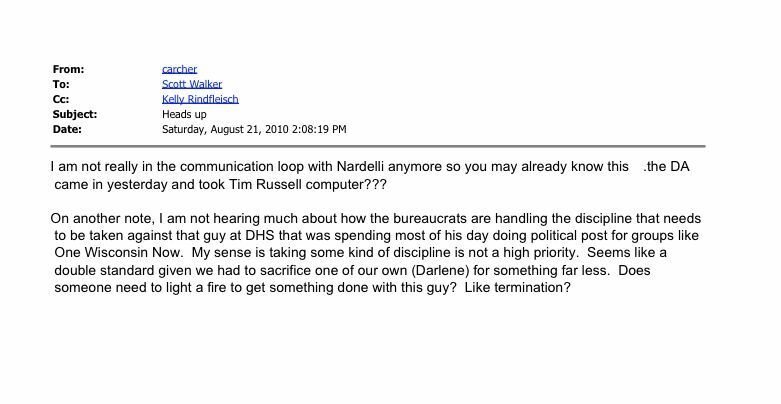 Archer was one of the people in Scott Walker's inner circle who was in on the private server that Scott Walker set up in his County Executive office. so the taxpayers of Milwaukee County could pay his campaign staff! Archer was also one of the minor minds behind ACT10, but did her best to perpetually play the victim. However, while she was keeping quiet and covering for her boss - John Doe - Scott Walker, her boss was doing a quid pro quo and kept moving her around, with monster raises, to different Wisconsin Government jobs. She had to keep moving because she was never qualified for any of them, too long in one place would show her incompetence. One morning, the police knocked on her door, served a search warrant and seized some of her personal items. The problem is the main millionaire Eric O'Keefe, is apparently a relative of Doug and Wendy Whiner. While O'Keefe was using his money to whine about his treatment all over the country, his gophers like Matt Kittle was repeating the BS. While the "reporters" who called the John Doe probe a political witch hunt, set back journalism and the truth a millennium, but is the best way to stay employed in the Wisconsin right wing. 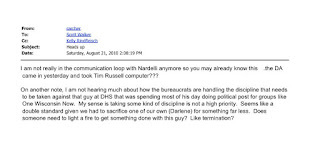 Cindy Archer, never one of the brightest bulbs on the tree, actually believed the Kittle propaganda and filed suit against DA John Chisholm and others. Frivolous lawsuits are like an initiation ritual on the right. Like frivolous lawsuits do, her suit got tossed out quicker than a doggy bag from Ground Round. After a good laugh they also dropped the lawsuit. However there was one difference here than the lower courts ruling. The appeals court on Tuesday agreed with that decision in a ruling that said there was no evidence suggesting Archer's support for Walker played a role in the investigation. The court similarly disagreed with her claims that she was subjected to an illegal search. "Unpleasant as the events undoubtedly were, we see nothing objectively unreasonable in what occurred," Wood wrote of the early-morning raid of Archer's home. Joining Wood in Tuesday's ruling were Judges William Bauer and Ilana Rovner. Wood was appointed by Democratic President Bill Clinton; Bauer by Republican President Gerald Ford; and Rovner by Republican President George H.W. Bush. The judges also sided with a part of Adelman's ruling that allowed the federal court to hang onto documents investigators gathered as part of a probe of Walker's campaign known as John Doe II. That probe was conducted under the John Doe law that at the time allowed prosecutors to operate in secret and compel targets and witnesses to turn over their records. The state Supreme Court shut down that investigation in 2015, saying nothing illegal had occurred. Two courts both said we need to keep all of the records of John Doe just in case. The Bought and Purchased five on the Wisconsin Supreme Court tried to get them to destroy all of the evidence of Scott Walkers criminal wrongdoings. Luckily, outside of Wi, there is an actual independent judiciary. The question is now what is next for CIndy Archer? WIll she be appointed to another state job, with another raise? Will she file yet another lawsuit? Will she retire with her partner off the State Pension she has accrued?? Hopefully she uses her Government supplied healthcare to get her delusions of grandeur taken care of! PS: A blast from the past. It was Cindy Archer that sent an email to Scott Walker and convicted felon Kelly Rindfleisch to fire our very own Capper! If we could mine irony, we would be the richest state in the Universe.